This is Jan’s baby. It grew out of her book, Me and My Big Mouth and has just kept growing ever since. 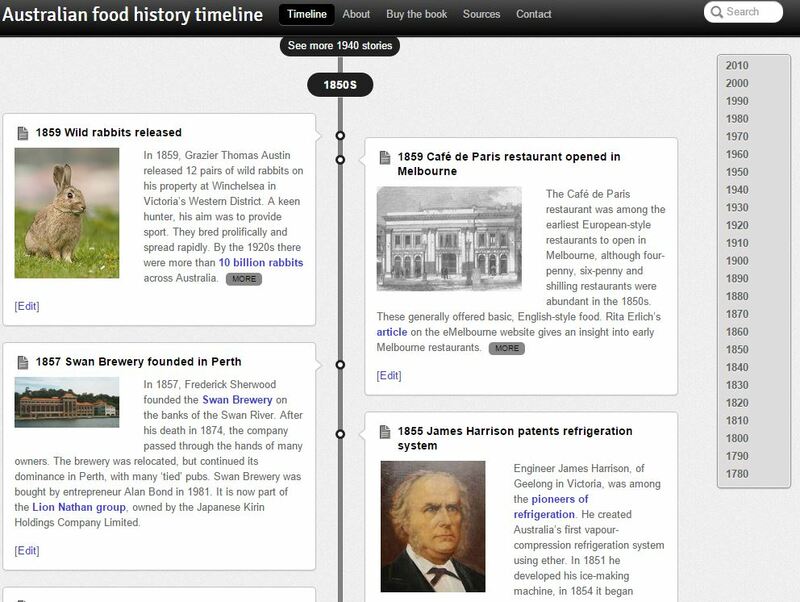 The timeline traces Australia’s food history since European settlement. It’s packed with arcane facts, such as how Tim Tams got their name, who started Australia’s first frog farm and whose burger was named Australia’s worst fast food. It looks at how we’ve consumed, bought and grown our food (and drink) for more than 200 years.